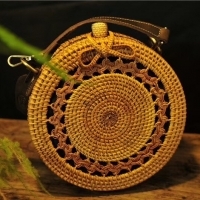 Green home furnishing rustic fashion, natural products by the traditional crafts hand-knit. Pure hand-made, unique personality, every product is woven by old master. S 32*21.5*h22.5*25.5*13CM M 36*24*H24*27.5*16.5CM L 39*29*H26*31*19CM. Short on time? Let storage-basket sellers contact you. 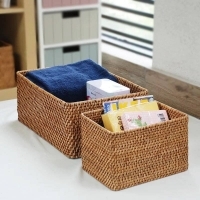 1) Wicker storage baskets 2) Natural and 100% handmade products 3) They are made of high quality wicker 4) They are for household furniture, office supplies, gardening etc. 5) We can make many kinds of wicker storage baskets according to your requirements. Jinan XIMO Foreign Trade Co., Ltd.
Material: paper rope. Size: A set include 3 pieces , one big , two small Large--24*17*11cm, small--15*10*10cm. Binzhou Evergreen Im&ex Co., Ltd.
BINZHOU EVERGREEN IMP.&EXP. CO.,LTD. 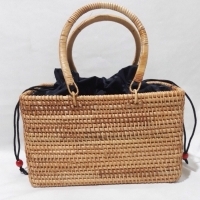 was established in year of 2010 , whose mainly products are various kinds of storage baskets and boxes made by paper rope ,PP strip, natural bamboo,rush,faux leather , fabric etc. 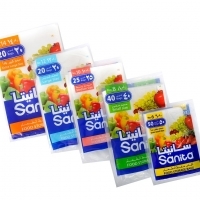 Our products have been exported to USA, UK, SPAIN, AUSTRALIA, RASSIA,JAPAN and some other countries and areas. Our products are well welcomed with customers at home and abroad. We attened Canton fair and East China fair every year. Hope can have a chance to cooperate with your esteemed company in future.